Summer has to be the best season for parties. I know we'll be heading to a few family BBQs and popping over to our neighbour's house more than usual in the coming months. 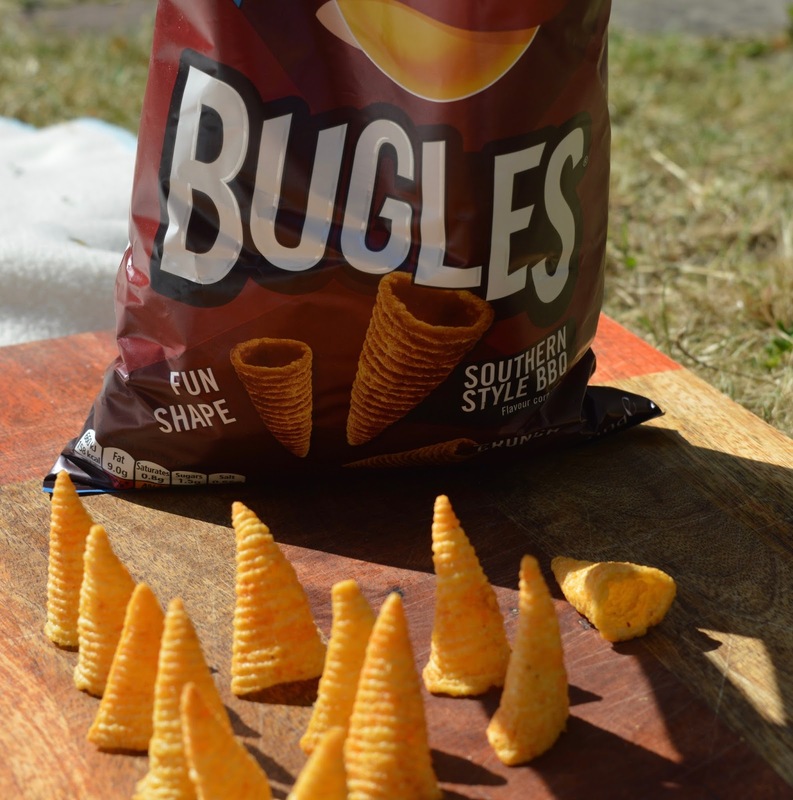 With this in mind, we have been thinking of a new ways to have fun outside so when Walkers asked us to have some fun using their new cone shaped Bugles, we put our thinking caps on and devised Bugle Bowling. 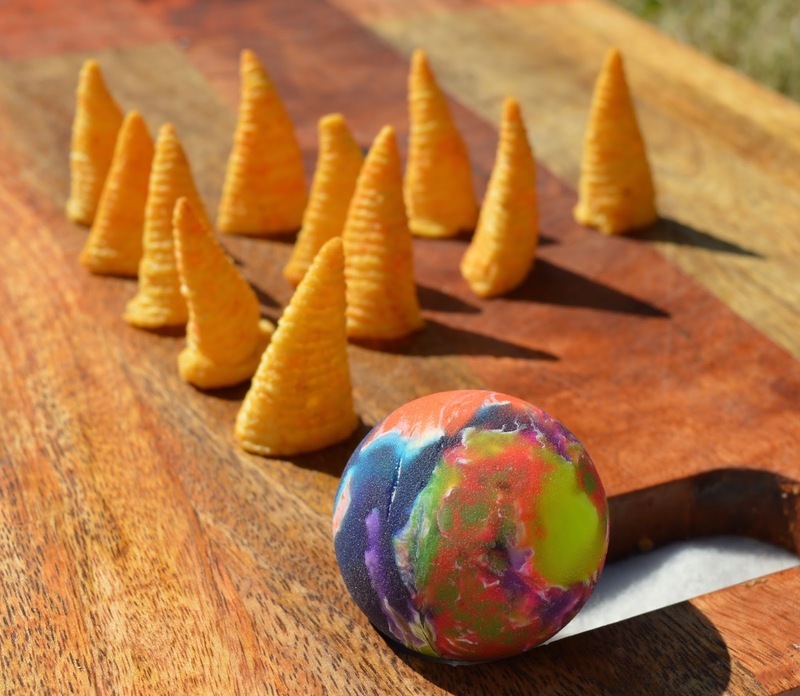 Bugle Bowling is nice and easy - simply line the cone shaped snacks up on a chopping board, take a few steps back and throw a ping pong bowl at them (we tried a bouncy ball but it was too heavy and ended up crushing the snacks). 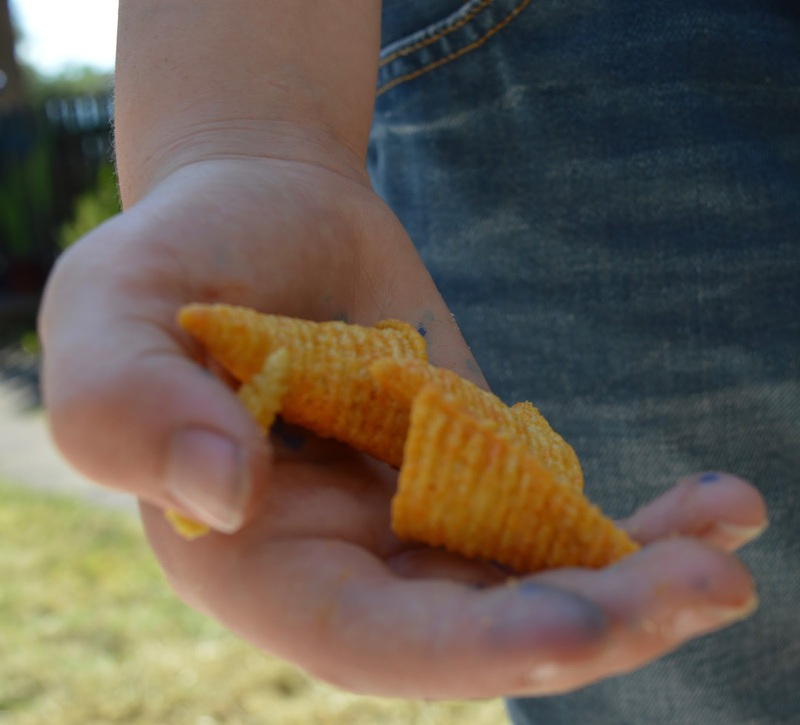 If you manage to knock any Bugles down, you get to eat them! Then the game is reset for the next player. 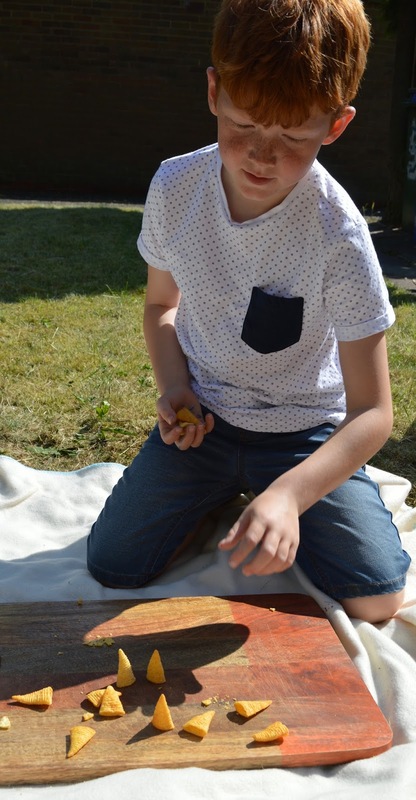 ......and yes he still managed to knock a fair few Bugles down. Steve and I got involved too and things may have gotten a little competitive! 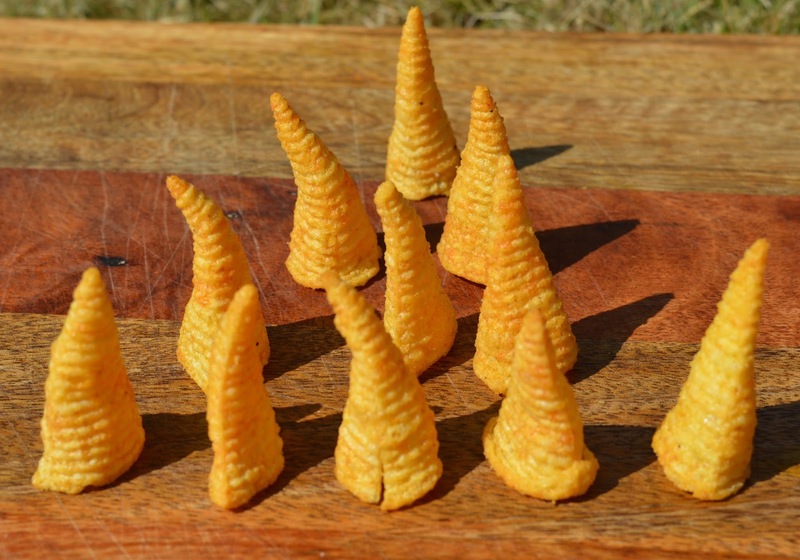 Bugles are available in three flavours - Cheese, Southern Style BBQ or Sour Cream and Black Pepper. We mixed the snack flavours up on the board and no one knew which flavours they were going to get. Southern Style BBQ was our definite favourite and everyone was trying to knock those down by the end. 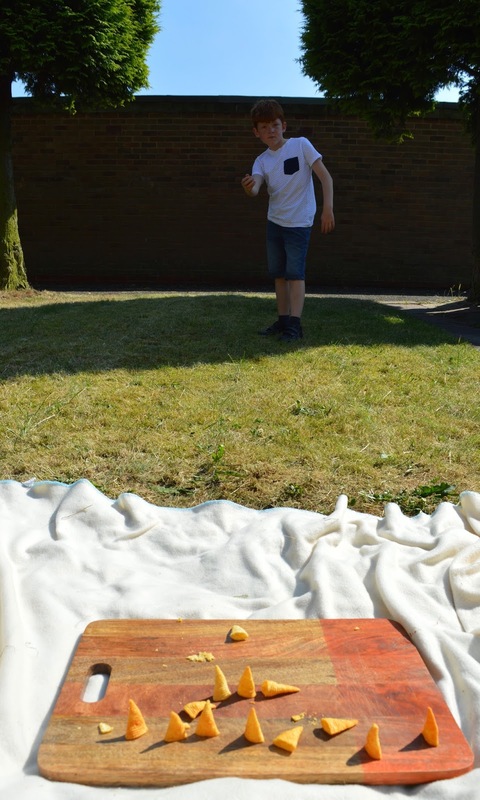 Bugle Bowling is easy, fun and a good way to pass the time at your next BBQ. 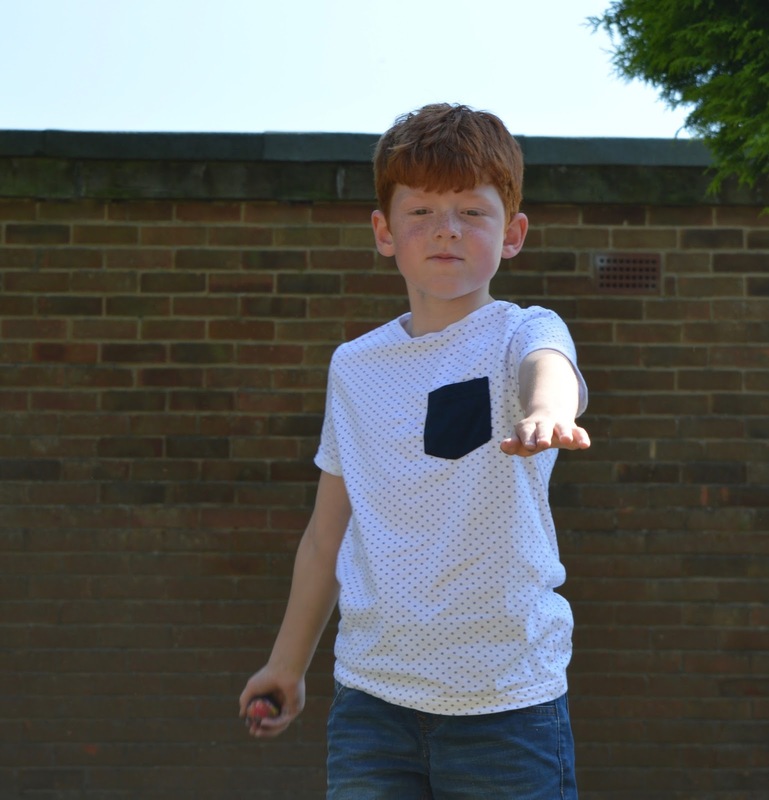 Let us know if you give it a try too. Disclosure: This is a collaborative post. Please see my disclosure policy for more details. 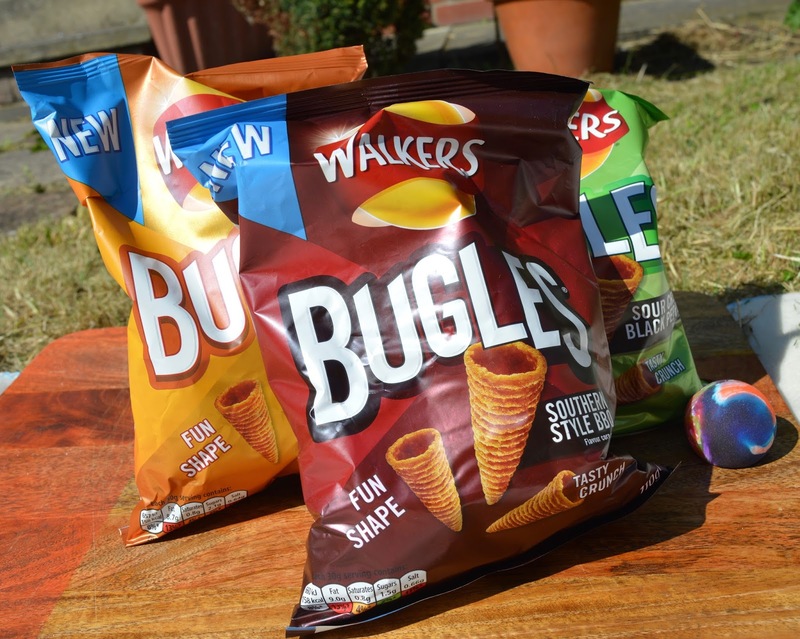 Walkers Bugles are available nationwide in all major supermarkets with an RRP of £1.50 for 6 x 20g bags, RRP of £1.99 for 110g sharing bags or RRP of 57p for single 30g bags.